Written in taut, mesmerizing, often hilarious scenes, Night Moves captures the fierce friendships and small moments that form us all. Drawing on her personal journals from the aughts, Jessica Hopper chronicles her time as a DJ, living in decrepit punk houses, biking to bad loft parties with her friends, exploring Chicago deep into the night. And, along the way, she creates an homage to vibrant corners of the city that have been muted by sleek development. 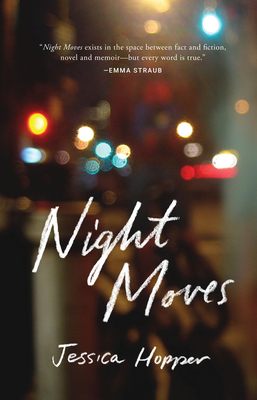 A book birthed in the amber glow of Chicago streetlamps, Night Moves is about a transformative moment of cultural history--and how a raw, rebellious writer found her voice.